Very warm welcome and nice, clean apartment in a good location. 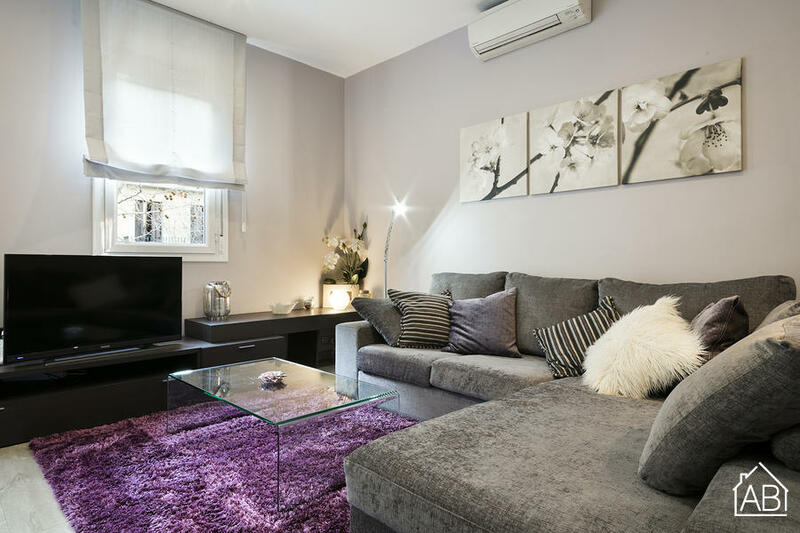 This beautiful, homely apartment is located in one of the most vibrant parts of Barcelona, in the heart of Eixample. With endless shops, cafés, bars and restaurants in the vicinity as well as being a short distance away from the old town, this is a great base from which to discover the city. With two spacious bedrooms the apartment can very comfortably accommodate four people. Its large living-dining room, bright kitchen and clean, modern bathroom make this apartment a real home from home with the balcony providing an extra treat. The apartment is equipped with everything needed to ensure a comfortable stay: Internet, satellite TV with English channels, air conditioning and heating, and more.